Here at Aspire we believe the really great investments lift all boats in the long run. Sometimes that means doing more than investing in our venture companies to positively impact industries, it can also mean giving to our local community to create critical value for the greater good. That’s why we’ve created a local giving committee at our offices in Lancaster. Each quarter we’re helping to financially support nonprofits and initiatives that we believe will strengthen the community in which we are rooted, and help to effect wider change beyond Lancaster’s borders. 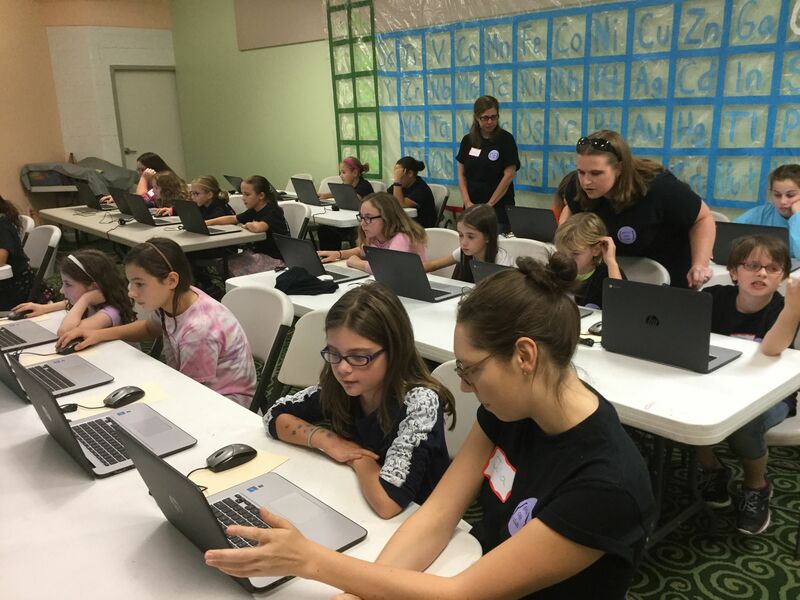 Recently, we funded the expansion of the Girls Code Club at the Lancaster Science Factory—a monthly class where girls ages 8-13 can learn web design, computer programming, and gaming application design. There was so much interest in the club, LSF was able to double the size of their program with a little financial help. It’s well established that the tech industry has a gender gap problem. According to a Crunchbase report, in 2014 only 18 percent of funded startups were founded by women. And perhaps related, only 18 percent of computer science degrees in the U.S. are awarded to women, according to National Science Foundation statistics. Last month, the issue was in the media spotlight again after investor John Greathouse drew a storm of criticism for his WSJ column advising women in tech to only use their initials online to create a gender-neutral persona. Greathouse reasoned that doing so would open up more opportunities for women, letting investors or potential employers review their work impartially. Although the column drew widespread condemnation, and Greathouse later gave a whole-hearted apology for his statements, the column illustrated the challenge women face everyday in a male-dominated industry. This is an issue that should concern everyone, especially those of us who want to create a more robust knowledge economy. We’re missing out on a diversity of perspective and talent that should be at the heart of a culture of innovation. Supporting the next generation of women with educational programs like the Girls Code Club is a great place to begin effecting positive change. Now, more girls in Lancaster are getting the educational support they need to confidently pursue their interest in tech. In addition to Girls Code Club, we also supported Science and Technology education for girls through sponsorship of the STEM Sister Discovery Dinner at the North Museum. At that event, Aspire’s COO Alison Lowery sat on a panel of 5 women leaders in Science, Technology, Engineering, and Math to share her rich experience in technology, and to inspire young women to pursue their goals through careers in technology. Beyond supporting local initiatives with charitable donations, here at Aspire we’re also proud to be part of the solution by supporting ventures with women at the helm. At MedStatix, CEO Kim Ireland led the team from being a regional patient satisfaction survey company to becoming a leading national patient satisfaction data company. Now doctors are using the MedStatix platform in all 50 states, and MedStatix has successfully surveyed nearly 1 million patients across the country. At Wylei, Meg Columbia Walsh recently took the role of CEO where she is already transforming the digital marketing company into one that’s ready for radical expansion. Previously, Meg has successfully led 4 companies to exit, and her experience and leadership will be invaluable to ensuring Wylei’s success. We hope that our recent donation to Lancaster Science Factory will encourage more girls to pursue careers in technology, and we hope to see a future generation of women leaders that will enrich the entire industry as much as they have for our ventures here at Aspire.